Diagnostic socket (16-pin OBD-II DLC) tester. Tests all the lines DLC (short to GND/power supply), determinates diagnostic lines, shows voltage, overvoltage/low voltage warning and other functions. Useful avoid the electronic damages before connecting the diagnostic equipment. Auto circuit tester. Multi-function circuit testing tool in special design of testing probe.Voltage/resistance measurement/diode/circuit off/on measurement, short circuit test sound. Built-in LED light (if wire placed in dark place) and display backlight. Professional battery 6-12V and 12-24V starter, alternator/charging system tester with built in priner and big display. Possibility connect to PC for diagnostic report saving. Professional microprocessor based 12V 5A charging unit with intelligent charging function and advanced protection. Battery restoring function, shortcircuit and reverse polarity, overcharge and antispark protection. Made in Italy. Professional microprocessor based 12V charging unit with intelligent charging and booster functions and advanced protection . Battery restoring function, shortcircuit and reverse polarity, overcharge and antispark protection. Engine starting function for start engine of car with discharged battery. Electronic leak detector. Sensivity up to 3 g/year, probe lenght 43 cm, detects all agents (CFC, HCFC, HFC), audible and visual indication (several levels of sensivity). Made in USA. Propane and methane gas (LPG-CNG) electronic leak detector, visual/sound/vibration indication (multiple sensitivity levels). Excellent quality. Made in Italy. 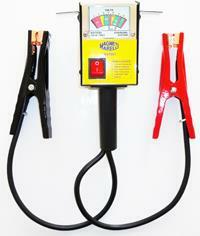 Diesel engine glow plug tester. The instrument allows to verify in a easy and fast way the right working of glow plugs with 12V supply in diesel engines, taking as reference the current consumption of glow plugs.Completely protected against connection errors. Made in Spain. 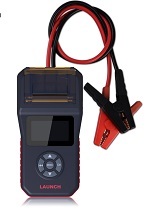 Lambda sensor tester, allows to check all current types of lambda sensors: zirconia and titania (0-1V and 0-5V) and with ability to simulate the lambda sensor signal in order to verify the ECU response. The tester allows to check the work of the sensor without oscilloscope. Made in Italy. Digital thermometer for themerature measurment (-50 to +750 С) for AC and other systems with two different external probes. Universal flexible LED light with a magnet on the bent tube. Powered by 3 LR41 batteries (1.5 v, are included in the set). Can also be used as a magnetic capture. Universal 2 mode LED light with a magnet in resistente housing. Powered by the built-in rechargeable battery. Battery load tester. 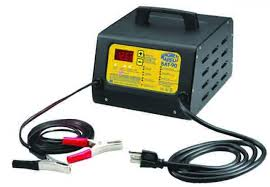 Max load 100A, 0-16V. It allows measure the voltage , including in load mode. 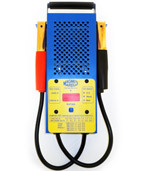 Battery load tester 100A with microprocessor control for batteries up to 1000 CCA, 12V. Allows to check crarging state of battery, charging system and starter motor. Analog battery mini load tester. Max load 125А. 0-16V. It allows measure the voltage , including in load mode. MM Battery Expert PRO new! 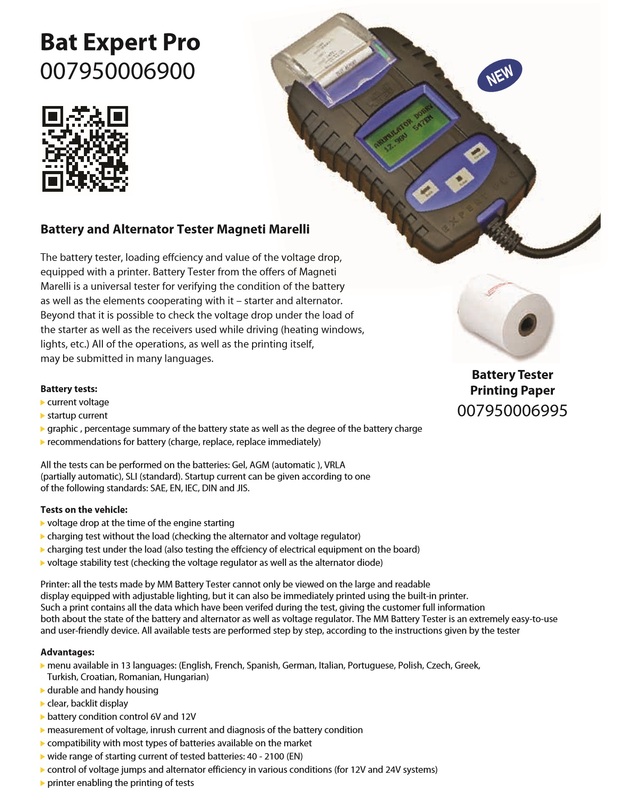 Professional battery 6-12V and 12-24V starter, alternator/charging system tester with built-in priner. Full automatic battery and system checking. New version. Two mode LED and UV swivel lamp with rotating superior part and with a magnet and hook in resistente housing, allows find efficiently any leak in AC system. Two mode LED swivel lamp with rotating superior part and with a magnet and 2 hooks in resistente housing. Superior quality, made in Italy. Two mode LED swivel lamp 140/250 lum with a magnet in water/impact/dust resistent housing (IP54). Light focusing funtion 10 - 70 degrees. Superior quality, made in Italy. Professional battery 6-12V and 12-24V starter, alternator/charging system tester with big LCD display with backlight. One of the best battery testers. 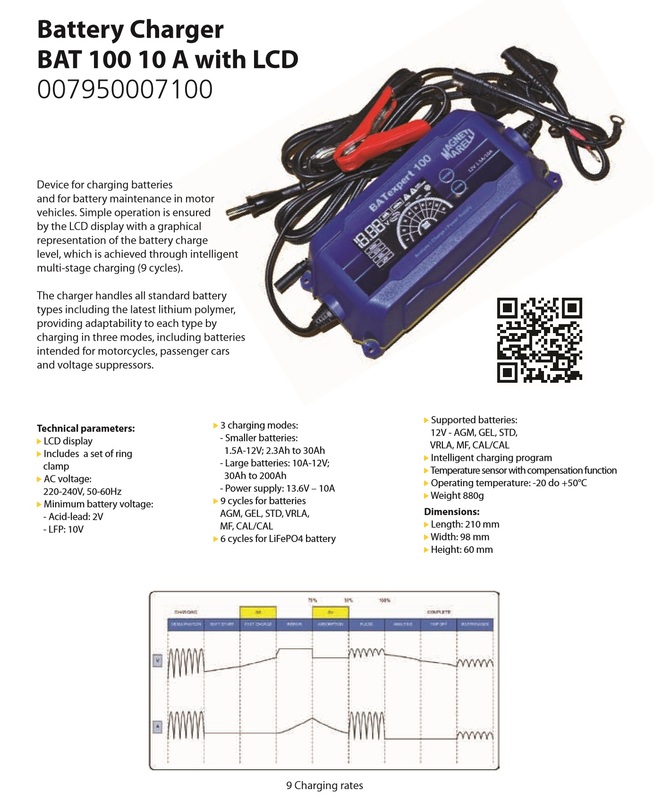 Professional microprocessor based 12V 10A charging unit with intelligent charging function and advanced protection. LCD display. Battery restoring, shortcircuit/reverse polarity, overcharge, antispark protection. Made in Italy. Professional high performance charge/battery support device. Comp. also with eletric cars/hibrids. 120A continious, ideal for PASS THRU flashing. Micropr. contr., protection: rev. polarity, short circ., overvolt., overload. Work mode w/o battery, charging continues after battery reconnect. Brass clamps. Made in Italy.